We all love Batiste right?! I mean every now and then we need a little spritz of dry shampoo to refresh our locks, and allow us to continue our day without a greasy mane. Also is it just me or has the Batiste line exploded lately? They have a dry shampoo for everything, even a tinted line that do a great job of hiding the greys…you’ll all be thankful for it one day! Now at one point or another I have tried the majority of Batiste’s range. My favourites were always; a hint of colour in dark brown and the revitalise it in cherry. Since their line has expanded though and there’s so much choice I’ve been trying a few of their other products. So that brings me to what I consider to be the best and worst of Batiste’s offerings. XXL Volume – Batiste claim this product will not only give you the benefits of a dry shampoo, but also give you some oomph! I’m sorry I totally disagree! I have never tried a product from Batiste that I didn’t love…until now. Loads of my fellow bloggers are loving this, but to me it leaves my hair in a mess. Even using the tiniest little bit feels like I’ve sprayed a whole can into my hair, it feels coated and kind of matted and difficult to work with. For me it really doesn’t give me volume and leaves my hair in a dull, sorry state. Sorry Batiste but this product is a total fail for me. 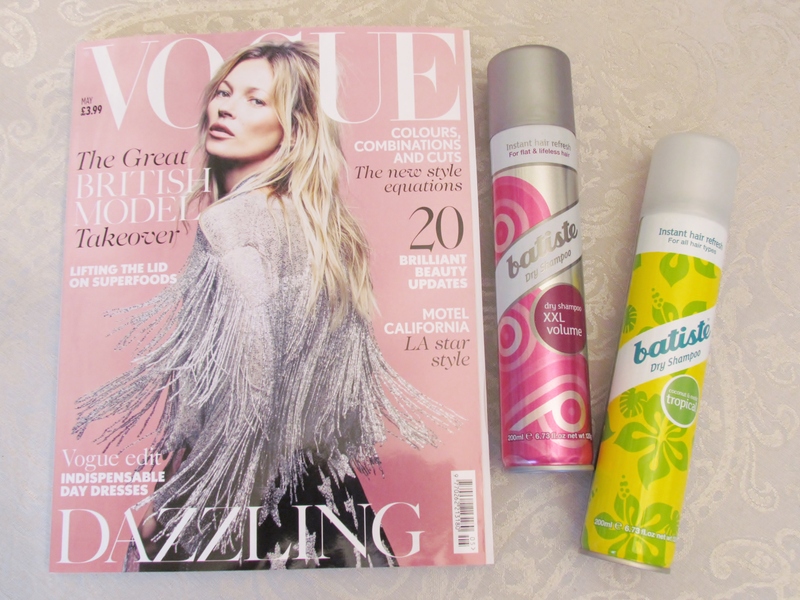 Coconut and Exotic Tropical – Now it’s not all bad, as I said before, apart from XXL Volume, I have always been pleased with every Batiste product I’ve tried. My absolute favourite of the bunch is their Tropical spray. Oh yum…this smells divine, and does exactly what it says on the tin…leaves the hair clean, fresh and full of body. The only downside is you really need to work it in, especially in dark hair or you’ll leave those tell-tale signs of dry shampooing. What about you guys, have you tried the range? What are your best and worst products? Or have you found any other companies that do even better dry shampoos? So glad it isn’t just me who hated XXL volume, I literally couldn’t wash the stuff out my hair, nightmare! Great post, I haven’t tried the XXL one and by the sounds of it I’m glad I haven’t. I can’t stand batiste!!! But stupid me, I thought the XXL one was named due to the size of the can. Oops!